I am back from the annual Stampin' Up! Convention in Salt Lake City. As usual, I had a great time meeting up with demonstrators all over the country and spending time with good friends. I have brought back a ton of great ideas and can't wait to share them with all of you. I have scheduled an Open House for August 9 and 10, where I will have all the samples on display. We will also be making a few projects using new stuff. For those of you that do not have a catalog yet, I will have them available at the Open House. If you would like a catalog mailed, just email me and I will get one right out for the cost of mailing of $5, no charge for the catalog. 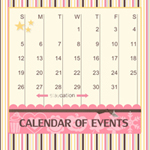 Please check out my updated class schedule by clicking the calendar icon to the right. I have added some Stamp-A-Stacks and a few other classes. I have one I am really excited about called Holiday Canvas Class. I got this great idea at Convention and decided a class was a must. I will post pictures of the canvas choices in a separate post later today. I will also have the canvases on display at the Open House so you can see how cute they are in person as photos never do them justice. I am excited to announce the new 2013-2014 Annual Catalog is here. Click on the catalog picture below to see all the fun new products!! 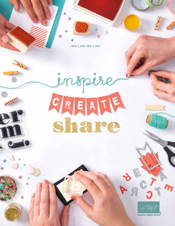 If you would like your own copy of the catalog, email me at Michelle@iamstamper.com. If you are local and want to pick it up, let me know. If you are farther away and want it mailed, I only charge the cost of mailing of $5 and it will come right to your door! You can send me the $5 via Paypal if you like to the same email address. I will be getting some new items this week and hope to have time to play and get some samples up for you. I am so excited Stampin' Up! has just announced they are offering FREE shipping on EVERYTHING April 6-8. There are no minimums or limits and all orders qualify (excluding expedited shipping). Ordering online is the easiest way to get your order in quickly and they are shipped right to your door. You also want to check out the Clearance Rack for any deeply discounted items. These items can only be ordered through the online store, I cannot place orders for Clearance Rack merchandise. I just did a quick check of the clearance items and there are some great deals on ribbons, Big Shot dies, accessories, and Designer Series Paper. Sweet Shop specialty paper is one of my all time favorites and right now you can get it for only $2.59! That is more than a $10 savings!!! There will be a color refresh with the new catalog in June. There will be 10 new colors added to our core color families. I am excited to announce that 4 of the 5 current In Colors will be staying around! Below you will see the new color families. This means that any accessory in the current catalog, including ink, card stock, ribbon, brads, etc., will be discontinued. They are all currently available while quantities last. Once they are sold out, we won't be able to get them again. With free shipping for 3 days, it is a perfect time to stock up on these colors or add them to your collection. Submit orders online by: Monday, April 8, 2013; 11:50 PM (MT) or call/email me by Sunday. I will place all orders called or emailed to me first thing Monday morning. Thank you everyone for your support in getting the Mystery Hostess Party to over $200 in sales! Congratulations to the 2 winners who will each receive $10 in free products: Darby T. and Vikki D.
Everyone is a winner, so if you participated I will be getting your free gift out next week. Just a reminder - Sale-A-Bration ends tomorrow. Be sure and get your orders in by then. Online Mystery Hostess Party Starts Today!! Everyone is a Winner!! Are you ready for an Online Mystery Hostess Party? With this party, there are several winners... not just one. Plus, everyone gets a gift just for participating. As a bonus, each participant gets a free Sale-A-Bration item with every $50 order. With Stampin' Up! 's new Hostess Code link, we are able to ‘pool’ online orders together into one 'party!' Everyone places their own online order, but we use the same hostess code when ordering online. These smaller orders are combined together under the same code, to help earn hostess benefits. 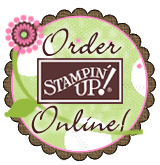 This means FREE Stampin' Up! products! This month I am hoping you can help me reach a personal sales goal. All participants will be entered into a drawing for the hostess benefits. :) You could be a winner! How can you participate in the Online Mystery Hostess Party? Simply use the Hostess Code below and place a minimum order of $50 through my ONLINE STORE by Wednesday, March 20th midnight. (The code must be entered just below the Special Offers section on the left.) Be sure to choose your FREE Sale-A-Bration item on your order as well! $1000 in total sales - 10 winners: 4 each receive a 1/2-Off item, 6 each receive $26 in HFM!! Your name will go into the drawing for every $50 you spend (prior to shipping and tax). After the drawing Thursday morning, I will contact the winners to get their product choices. If you are a winner, I will need to know your choice before 10:00 am Friday, March 22 (otherwise you will forfeit your prize). Everyone will receive a small gift just for participating. Ready – Set – GO! Start placing your orders now… Deadline for ordering for this event is March 20th! Let me know if you have any questions. The biggest sale of the year is coming Monday, November 19, 2012. Click HERE to see all the specials. Be sure and check out the 1 day only specials for November 19 and November 28. The Big Shot is one of those 1 day only specials at 20%. If you have been wanting one, now is the time to pick your's up! For one day only, you will get 15% off almost every stamp we sell! Place your orders quickly, as the sale is only through 11:00 pm Pacific time, Monday, October 29, 2012. You can place your order on line or call/email me until 8:00 pm. Are you getting ready for Christmas yet? I have finally had a chance to design the cards for my Make Your Christmas Cards Classes on November 30 and December 4. At this class you will make 20 identical Christmas cards. You choose the card you want to make. Class fee includes stamp set. This year, I have used 2 stamp sets that can be used all year long. I want to thank my friend Linda Pagel for the inspiration for card #4. I made some slight adjustments to the card she made. I don't want to exclude anyone from being able to join in on this fun class. So, if you are out of my area and would like to participate in the class, you are more than welcome to join in. You will choose your card and for an additional $10, I will mail you all the materials to make your cards, including ribbons, punched and textured pieces, etc. You will get the stamp set, but will have to provide your own ink and saying. For all cards, it is also recommended (but not required) that you have a coordinating punch and/or framelits to make things easier, or you will have to do some cutting. If you would like to make an extra set of 20 of the same cards, the fee is $25. If you already have the set for the card you are choosing, please let me know and I will adjust the price of the class accordingly. You will need to bring your set (and clear blocks if needed) to the class with you. Email me today at Michelle@iamstamper.com to sign up for this fun class either at my home or by mail! I am so excited with the new Catalog, I don't even know where to start. There are some great new sets, the new ink pads are awesome and I love the new dies and folders for the Big Shot!! Here is a cute card I made using the new Betsy's Blossoms Set. This has definitely become one of my favorite. It is just too darn cute!! To see the new catalog online, click HERE or on the CATALOGS link to the right. I fyou want your own catalog and live my my area, email me and I will be glad to leave a catalog for you in the box on my porch. If you don't live nearby, I would be happy to mail one to you, I just ask that you pay the $5 shipping. You can send the $5 via Paypal to my email address. Here is a fun card using some of the products you can still get. It is a PERFECT for mother's day, an anniversary or just to say you care! I used the Heart Framelits to make the cute frame for the flower. First see what size heart will fit around your stamped image. Stack your Big Shot sandwich and place this small heart on the colored card stock. Then place the next size up heart around the small heart, so they are nestled inside one another, you can use a post it note to hold them into place. Put both hearts through the Big Shot at the same time. Repeat, so you have 2 of these "frames". Stamp your image on white card stock and cut out using the larger of the 2 hearts you just cut. Place 1 frame directly on the white Heart, giving it a border. Use dimensionals to put the second frame on. This gives it a cute shadow box look.